My first impression of the ESL Program was “same old basic English again,” but I was wrong. I thought I didn’t need it because I can speak English. The ESL classes helped me to know how to pronounce properly, use proper grammar and even to create a formal paragraph. The important thing that the ESL Program did for me is to boost my confidence and to mold me into “a chocolate diamond” as Ate Myrine always says. The ESL-HCA Program is worth it and I enjoyed every class I attended. In several months I developed as an open-minded person, a knowledgeable student, a passionate Healthcare practitioner and a fluent user of the English language. 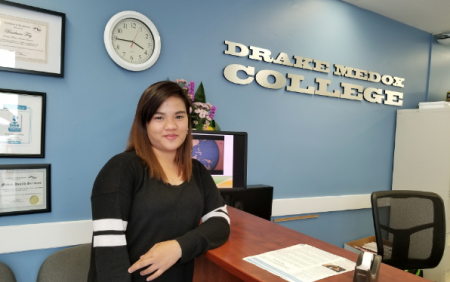 As I move toward my new career, the ESL Program contributed a big part to my future work because I have learned how to be a good listener, a good reader and a good communicator. Indeed, I have become “ a diamond.” I am very thankful to Drake Medox College and my supportive Instructors for helping me along the way!